You are currently browsing the tag archive for the ‘Henri Nouwen’ tag. This goes BOTH ways, for not only the one contending for the faith, but for those Christians who oppose them, we need to remind ourselves of many passages. Frequently I see people come in to accuse those contending. They ask if you have prayed for them, they say, “they do not want to run out to lynch someone”, or “they don’t want to be condemning” (we should not condemn but speak the Word and hold up all to the light) or “judge not lest be judged”, “or have you used Matthew 18”, or cries of unity, or the funny one that I see frequently is, “You are so judgmental”… The irony escapes them. ■FALSE UNITY: WHAT IS UNITY? It says, all these things are to equip us, edify the body, till we come to a unity of THE FAITH and of THE KNOWLEDGE of the Son of God….WHY? That we should no longer be tossed to and fro by every wind of doctrine. Speak the truth in love, WHY? ■So that we may GROW UP in all things INTO HIM…. We have to watch out for how we reveal the truth, how we handle ourselves, and being careful of our speech. For those in the body who oppose those who are exposing a false teacher, and you disagree, you are only doing others harm by claiming they are “a brother” or “a sister” without ALSO having done your FULL proving. ■Attacking others for “TRASHING” a brother, or INSISTING they are a brother, is just as unhelpful as insisting someone is false or a wolf without laying out the case and discussing it. ■Never addressing or listening to the concerns of ecumenism, or associations, or lack of God’s Word in the forefront, etc. is not productive, and I cannot possibly see how it can be honoring to Him. ■Both sides of a discussion on false teaching should always maintain sound speech and a lack of characterization of the other side. We do not have the perception of Jesus to call someone a viper, so let’s proceed carefully. Otherwise, I believe the Word shows we should stay silent from making absolute statements on both sides, UNLESS we have spent enough time to PROVE ALL THINGS – by His Word. If someone won’t hear you (not agree necessarily – (but hear you out) without getting angry, running off, accusing, or ignoring, then you may have to remember the patience we’re admonished to have with all men. We can be wrong, but another believer will generally hear us out, so that they can admonish us/reason with His Word with gentleness and patience. By the Way, Matthew 18 applies to a sin done to one person in private, then you keep it private, it has NOTHING to do with false doctrine. Nor should we rush out to apply it to someone we disagree with. We see things we may or may not like, but this doesn’t mean we should name names. ■But I believe we do have our marching orders in the verses below. WE ARE ALL CALLED TO REVEAL THE TRUTH WHETHER WE LIKE IT OR NOT. So for those of you who feel discomfort when this happens, (you’re favorite teacher/pastor being mentioned), please understand how hard it is for the one who is speaking the truth. Certainly hold them accountable for how they do it, but don’t rush in to accuse them of a witch hunt, and/or pepper them with questions without having had the decency to do your own homework, with the info they already provided. O.K., This is where I’d like to address the people who hang out with the Rick Warren’s of this world, or call Mitt Romney a Christian, or quote Henri Nouwen, or Ken Blanchard, Dallas Willard, link to others pages or products for sale, etc. The Pastors who go to conventions with them or call them brother. The people on FB who put them on their page. I understand completely some will be unknowing, but once you know, you better not compromise the truth of God’s Word, it’s not yours to compromise. So, if you pass along their info, “receive them”, “greet them”, then what? ■YOU ARE SHARING IN THEIR EVIL DEEDS. I’d also like to address those who defend them as just authors, or fiction (i.e. the Shack) or say they are not pastors, teachers, etc. Please note most of these verses say, WHOEVER, or ANYONE, etc. and does not differentiate that they should not be STOPPED, MARKED, AVOIDED, NAMED, except that there was greater condemnation for the Pharisees or stricter judgment for teachers. And by the way, if YOU are taking teaching, reading an author’s books, sharing them on FB, thereby recommending their speech, YOU are also sharing in their evil deeds. We need to try so hard to be careful, we can all make mistakes, but don’t turn around a snap if someone points it out to you, but be quick to listen, go take some quiet time in prayer and His Word to look for yourself. 2.Use His Word, not yours. 3.Be in the MEAT of His Word. 4.Take Heed to His Word. 6.Don’t associate with those who will not CONSENT with sound words, withdraw. 7.Get and use wisdom and kindness when you speak. 8.Be slow to speak, and quick to listen. Don’t be quick to wrath. 9.Not associate with those who don’t consent to sound words. 10.Have no fellowship with the unfruitful deeds of darkness, Reveal the truth. 11.Find out what is acceptable to the Lord. 13.Prove or test all things and Hold fast to that which is good. 15.Mark and avoid those who bring that divisive false doctrine. I’d also like to address the people who defend them as just being “undiscerning” or “deceived”. Go ahead and pray for them, but we cannot excuse as acceptable behavior. These teachers/pastors/authors are not just being undiscerning (see Rom 1:31), they are being disobedient to God’s Word and we are NOT even to keep COMPANY with them. (2 Thess 3:14) They also are “sharing in their evil deeds” (2 John 1:9-11). Do we want to defend a “deceived” or “undiscerning” person, who is not in the meat of God’s Word, who do not obey His Word; who call themselves a Christian writer, apologist, speaker, teacher, pastor and then listen or share their writings or teachings? WHY ARE WE ALL CALLED TO DO THIS? SO WE CAN CUT OFF THEIR OPPORTUNITY TO LEAD OTHERS ASTRAY TO THEIR DEATHS…. * Angel of light, we need to remind ourselves, ministers of righteousness is what they will look like. GOING TO THE CATHOLIC CHURCH? 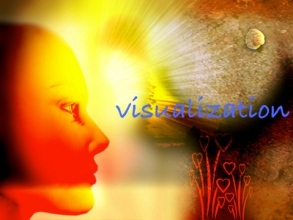 TAKING PART IN REIKI HEALING, ETC.? What does His Word instruct? WHO WE DO AND DO NOT BREAK FELLOWSHIP WITH. HOW SHOULD WE ADMONISH THEM? ■WE DON’T KEEP COMPANY WITH THEM. BUT LET’S BE VERY CAREFUL IT IS ABOUT SOUND DOCTRINE AND NOT NON-ESSENTIALS OR PRIDE, BUT DO KEEP IN MIND, IT IS GOD’S WORD THAT IS ESSENTIAL. Let’s also only offend in Christ and not in ourselves. IS IT O.K. TO DISMISS BAD TEACHING OR KEEPING BAD COMPANY WITH THE COMMENT, “NOT EVERYONE IS DISCERNING?” WHAT DOES HIS WORD SAY BELOW? Sounds pretty serious to me . . . and I have been there, there is not knowing, but we do need to test the spirits, and search the Scriptures to see if these things are so. ESPECIALLY if we are recommending or taking teaching from one who may be teaching great error. This passage also gives us good advice of judging what a man speaks. Is he/she REALLY speaking the Word of God? He who is not with Me is against Me, and he who does not gather with Me scatters abroad. “Either make the tree good and its fruit good, or else make the tree bad and its fruit bad; for a tree is known by its fruit. Brood of vipers! How can you, being evil, speak good things? For out of the abundance of the heart the mouth speaks. WE KNOW FALSE PROPHETS AND RAVENING WOLVES BY THEIR FRUIT’S…. But I’d like to admonish each and every one of us, we ARE to prove all things and hold FAST to that which is good. 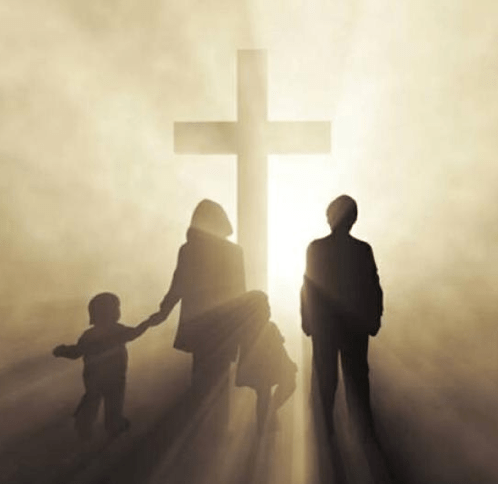 (I Thess 5:21), we ARE to be Bereans and SEARCH the scriptures to see if these things are so (Acts 17:11), we ARE to approach Him with humility and with a teachable attitude… (I Pet 5) May we all remember that. IN THE END, WE NEED TO REMEMBER WHERE WE CAME FROM AND THE MANNER OF HOW TO RECOVER SOME FROM THE SNARE OF THE ENEMY. (And that should be our goal, not to be right, but to do right). USE THE WORD TO JUDGE BY. THAT IS WHERE YOU WILL FIND RIGHTEOUS JUDGMENT. Now Slice of Laodicea and Apprising Ministries are reporting that not only will Ravi Zacharias not apologize or even back away from his endorsement of Henri Nouwen, but his ministry is defending his position. You can read the following letter from Ravi Zacharias Ministries in defense of Ravi’s endorsement of Nouwen by clicking here (PDF). One would be hard-pressed to find a more complete description of the various end-time deceptions currently exploding in our churches in one single paperback book. 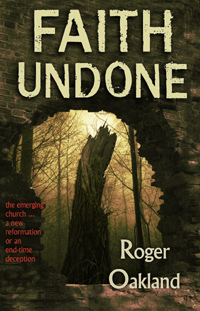 Roger has accomplished this feat in “Faith Undone”. Here are some of the topics he covers in his 13 chapters. This last sentence “The Word will become secondary to a system of works and rituals driven by ancient mystical practices”, is so very true of every deceptive practice being introduced into the church and the world today. This falls in line with occultist Alice Bailey who said “the teachings of the East and of the West must be fused and blended before the true and universal religion could appear on earth”. * When the church embraces occult teachings, we have to come to our senses and take notice of what is happening right in front of our eyes. The Bible warns of this deception but people do not want to listen. This is happening this very instant and many are totally unaware. This is why Roger’s book is so important. Let’s take a look at some of his other findings. This is from Chapter 6, When West Meets East. This cannot be more true. Think back even farther when the Beatles swept in from England in the mid 60’s. They themselves delved into Hinduism and Transcendental Meditation because of George Harrison’s fascination with the East. The baby-boomers of today are already familiar with these practices so it is no wonder that it is not a stretch for them to readily accept yoga and meditation into their life. What does Roger have to say about this? Roger goes on to explain why the answer to this question is NO. But you will have the read the book for the remaining argument. Let’s go on to Rick Warren and some of his extraordinary quotes found in Chapter 9, The Kingdom Of God On Earth. “Jesus did not say they were to look for a man of peace of every town, Rather he said ‘whatsoever city or town ye shall enter , enquire who in it is worthy; and there abide till ye go hence” (Matthew 10:11)…it is important to realize that the criterion for staying in a house was not the greeting of peace itself but whether those in that house received their message. “What does Warren mean by ‘whatever it takes’? I am going to advance to Chapter 12, A New Reformation, for the next Rick Warren quote. These are frightening statements and I am sick of Rick but he will have to be dealt with. There is so much more in “Faith Undone”, like Warren telling his followers that the details of Christ’s return are none of our business, (I can’t tell you everything! ), but we must move on to the emergents. There are so many involved in the emergent movement that one needs to go to www.lighthousetrailsresearch.com or http://www.lighthousetrailsresearch.com/blog/ to check out all the names, but Roger gives much attention to Brian McLaren. (blue comment) McLaren was named one of the country’s top 25 “Most Influential Evangelicals” in 2005 by Time magazine. Others mentioned in the book – Alice Bailey, Rob Bell, Ken Blanchard, Marcus Borg, Bob Buford, Tony Campolo, Peter Drucker, Richard Foster, Matthew Fox, Thomas Keating, Dan Kimball, Barbara Marx Hubbard, Erwin McManus, Thomas Merton, Henri Nouwen, Doug Pagitt, Leonard Sweet, and Robert Webber among others. How is it that this one book can cover so many names and issues? It is because they are all related and together they have one goal and purpose in mind, which is Faith Undone, a must read for every Christian. Order this book at Lighthouse Trails Publishing. * Government, business, church is Druckers 3-legged stool.